Debra Franklin, also known as “Rose” was born in Talladega, Alabama to the late Jim Pyles and Eddie M. Pearson. She transitioned from earth to her heavenly home on January 21, 2019. She is preceded in death by two brothers, Lawrence L. Pearson and Forrest W. Pearson and three sisters, Alice Pearson Duncan, Edna Pearson and Glenda M. Mathis. Debra lived a full and happy life. 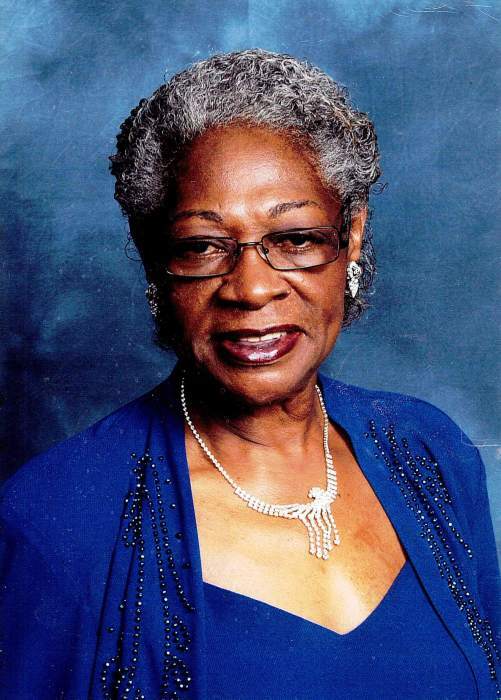 She gave many years of dedicated service as an employee of the Army Airforce Exchange Service (AAFES). Debra arrived in Germany in 1994 to take care of her eldest child, Jennifer. She started working AAFES, at Kapaun Air Base in Kaiserslautern Germany. After only 6 months she was promoted to a Supervisor, then Manager and eventually given her own store at Rhine Ordnance Barrack, also in Kaiserslautern Germany. AAFES recognized her potential and offered her a position as a facility manager. In 1999 Debra came back to the US to complete her training at AAFES Headquarters in Dallas Texas. After completing her training her first duty assignment was at Fort Benning, located in Columbus Ga. She showed exemplary performance while in Columbus, then after a year AAFES gave her a larger facility sending her to Tyndall Airforce Basein Panama City, Florida. Debra retired at Tyndall Air Force Basein 2013. Debra had an unconditional love for her family and she played an integral role in their lives. To cherish her loving memories are her children: Jennifer (April) Garrett of Port Saint Lucie, Florida, Tyrone Garrett of Atlanta, Georgia, Angela Garrett of Carlsbad, California, Chris Garrett of Panama City, Florida, and Charles (Kimberly) Garrett of Huntsville, Alabama; five nieces and nephews that she raised as her own: Carlos (Deborah) Pearson, Tanquilla Pearson, Dean Pearson, Michelle Mathis and Terri B. Pearson; 27+ grandchildren, and 7+ great grandchildren, along with one sister Joan Towns of Childersburg, Alabama, and one brother Robert Keith Jr of Anniston, Alabama;and a host of relatives and friends.